As they say, necessity is the mother of invention. After a fairly exhaustive search online for a Blackmagic micro converter support brace and not being able to find a suitable solution, we decided to design and 3D print a solution for ourselves. The Blackmagic Range of micro converters are great pieces of kit but the sockets for HDMI and Power are not designed with live shows and events in mind. The power plug in particular is a weak point (in my opinion). 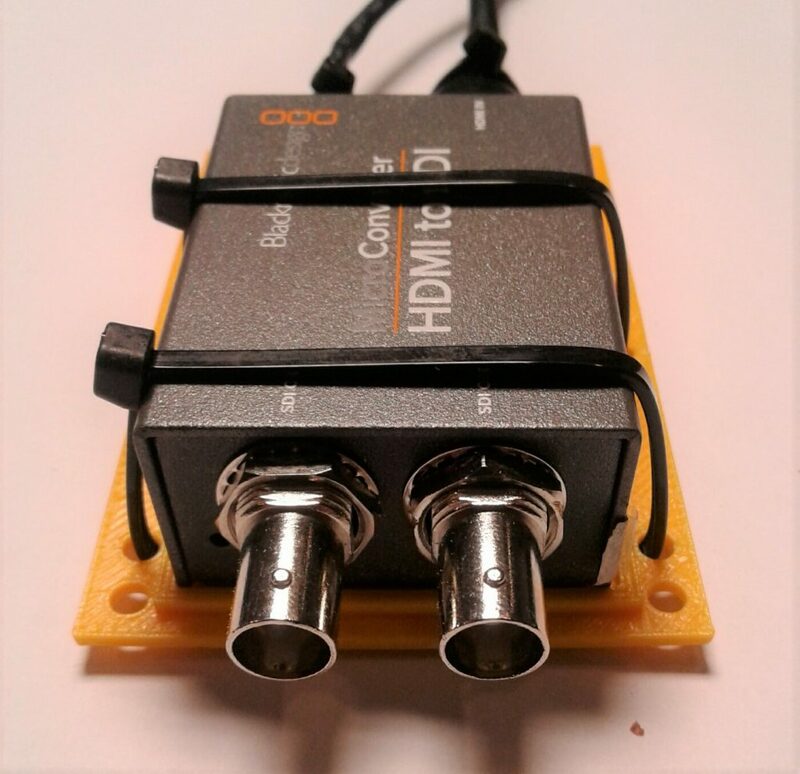 Whilst the BNC SDI connectors are strong enough for day to day use the HDMI and power sockets are a little on the weak side, so a simple yet effective solution was called for. 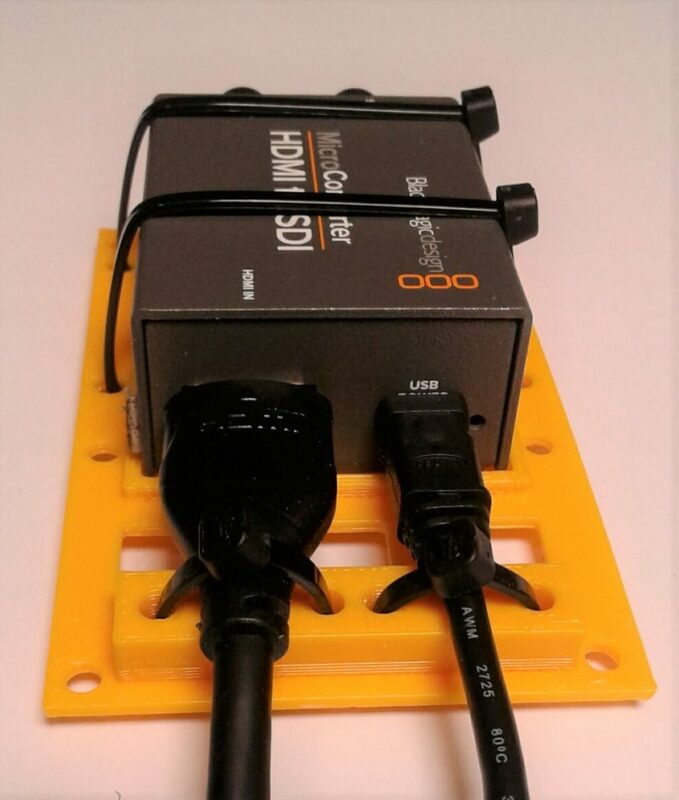 So to prevent damage to the sockets and to prevent cables from being disconnected during pack in and out of shows, we designed (in-house) a simple plastic brace that can be cable tied to a micro converter and it’s associated cables. 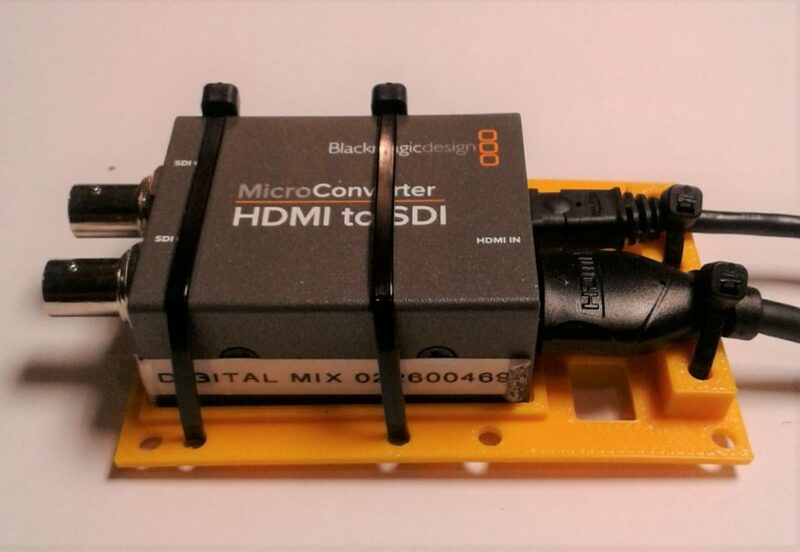 Our Blackmagic micro converter support brace provides much needed support for both the HDMI and Power cables. The brace has cable tie points for both the HDMI and power cables. There are also multiple mount points on the perimeter of the bracket to allow for attaching to truss sections or other support structures. 3D printed in-house from ABS plastic the brackets are strong and durable and are sure to prolong the life of the Blackmagic Micro Converters. We have these brackets available in a range of colors and they sell for $25 NZD including GST excluding courier charges.